Frank Sinatra’s 100th birthday is this year on December the 12th! To celebrate Frank Sinatra’s 100th birthday, books are written, songs are remastered, events preparations are taking place, certain products are being shipped to take their places on the market, and more. In this post, you will find a collection of how the world is preparing to celebrate, and also monetize, Frank Sinatra’s 100th birthday. If you know something missing in the list, please send an e-mail to contact@thefranksinatra.com. Let’s start with indirect products. 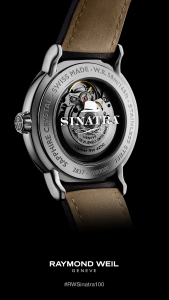 Raymond Weil, a Swiss watch brand that makes low to sub-mid watches, will release a limited Frank Sinatra edition watch for Frank Sinatra’s birthday. It is an automatic, 39.5mm watch. Costs about $1400. Jack Daniel’s introduces a new whiskey, to celebrate Frank Sinatra’s 100th Birthday, after Jack Daniel’s Sinatra Select, and this time it is Jack Daniel’s Sinatra Century. The suggested retail price is 500$. The barrels are not much different than the ones that kept Sinatra Select, and we also don’t have information about the age of the whiskey. The package also includes officially unreleased-before Frank Sinatra performances in a CD. The packaging and the unboxing experience seems very high quality, but what about the whiskey? Better wait for the reviews as the Sinatra Select line of Jack Daniel’s didn’t get very high ratings for its price. Now let’s move to the books. Some of the book descriptions are directly from Amazon.com. 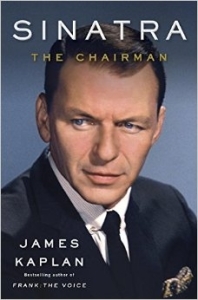 James Kaplan completes his Frank Sinatra biography with Sinatra The Chairman. 4 years ago, he wrote Frank The Voice and it ended with Frank Sinatra winning the oscar. This second book continues from there and spares 800 pages for 1955 to 1971, and 50 pages for the rest of his life. Charles Pignone, author of the excellent Sinatra Treasures book, who also prepared the Sinatra Family Album, brings the Sinatra fans his new Sinatra 100. It includes biographical, musical information as well as quotes and high quality photos. Sinatra’s Century is a book on Frank Sinatra that is made of 100 notes (chapters) by David Lehman. 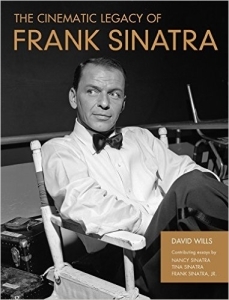 Each 2 to 4 page long note is dedicated to a specific theme and explains Frank Sinatra’s life, music, his connections, or David Lehman’s personal opinions on Sinatra. Sinatra: The Photographs, by Andrew Howick and Barbara Sinatra, features photographs of Ted Allan, Bob Willoughby, Ed Thrasher, Sid Avery, and Bernie Abramson. In The Cinematic Legacy of Frank Sinatra, author David Wills presents a stunning collection highlighting the work of one of Hollywood’s greatest stars in roles as varied as those in the classicsAnchors Aweigh, From Here to Eternity, Suddenly, Guys and Dolls, The Man With the Golden Arm,Ocean’s 11, The Manchurian Candidate,Von Ryan’s Express, and The Detective. Pairing more than two hundred first-generation photos with reflections on Sinatra from costars and work associates, and including contributing essays by his children Nancy Sinatra, Tina Sinatra, and Frank Sinatra, Jr., it is an unforgettable showcase of the actor’s transformation from world-famous singer, to movie star, to Academy Award winner, and finally to one of the most enduring icons in cinema history. Frankie Liked to Sing celebrates the life of Frank Sinatra, whose iconic voice changed popular music forever and influenced generations of listeners all over the world. From his early days in Hoboken, New Jersey, to making it big in New York City, Sinatra was determined to follow his dream of being a singer and moving people with his voice. And now, one hundred years after his birth, his legacy lives on with this spirited and loving tribute. The love story of this couple has never been fully explored or explained―until now. Frank & Ava delves deeply into the lives of these two iconic stars and their turbulent lifelong relationship. More than anything else, this is the story of a romance lived out under battlefield conditions. With exclusive interviews with fellow musicians, promoters, and those who knew him, Frank Sinatra: An Extraordinary Life is the definitive account of Sinatra and his career. Published to mark the one hundredth anniversary of his birth. 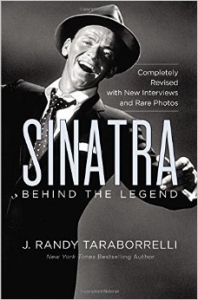 In 1997, Taraborrelli’s bestselling Sinatra: Behind the Legend captivated audiences with a never-before seen look at the life of an icon through six years of research and over 425 interviews with associates, friends and lovers. Now, Taraborrelli is back with a completely new and updated lens. Fans of Sinatra–old and new–will be able to delve into the private life and controversy of a musician whose career spans decades. From show business, struggles with depression, his many romances and attaining the American dream, Sinatra’s story delivers a captivating and humanizing portrait of the legend for a new age. By Amanda Erlinger and Robin Morgan, the official luxury book to commemorate the Frank Sinatra centenary, limited to just 1000 copies, in a deluxe clam-shell box, accompanied by a previously unpublished photograph, taken and authenticated by Nancy Sinatra Sr. Each book contains a numbered certificate of authenticity, signed by Sinatra’s children – Nancy Sinatra, Frank Sinatra Jnr., and Tina Sinatra. Costs $1400. Here are saloon singer’s most essential quotations culled from as wide a variety of source materials available. They have been compiled, edited and carefully selected for inclusion in this book by that well-known Quote Monger, Andrew Delaplaine. The original illustrations are by his sister, Renee. Learn about the man’s wit and wisdom from his very own words. 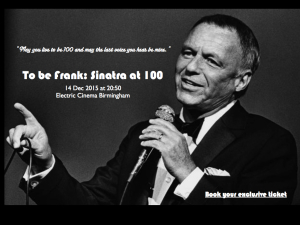 This unique book is published to coincide with the centenary of Frank Sinatra who was born on 12th December 1915. 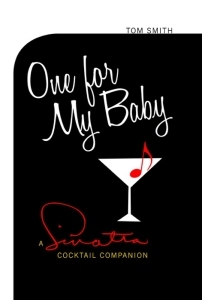 One For My Baby tells the Frank Sinatra story with a twist: Sinatra’s life and art is seen through his infamous appetite for booze. Stories, legends, anecdotes and undisputed facts place Sinatra’s relationship with alcohol firmly at the centre of his life, his character and art. Exploring Sinatra’s favourite watering holes, from legendary saloons Toots Shor’s to Villa Capri, One For My Baby takes us through the singer’s life with features on famous drinking buddies like Humphrey Bogart and the Rat Pack. We are now moving to events that will take place to honor Frank Sinatra’s 100th birthday. 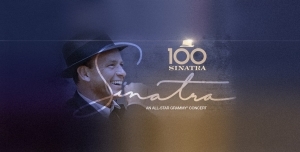 The Recording Academy, AEG Ehrlich Ventures and CBS will honor the legacy of nine-time GRAMMY winner Frank Sinatra by presenting “Sinatra 100 — An All-Star GRAMMY Concert,” a primetime entertainment special celebrating the late icon’s 100th birthday. The live concert taping will be held Wednesday, Dec. 2 at Wynn Las Vegas’ Encore Theatre. The special will be broadcast in HDTV and 5.1 surround sound on the CBS Television Network on Sunday, Dec. 6 from 9–11 p.m. ET/PT. Frank Sinatra Jr. throws a birthday party at Saban Theatre, Beverly Hills on December 12th. This lecture demonstrates, Sinatra’s name lives on because of his distinctive musical style. His phrasing and tone, the timbre of his voice: these are the qualities that set him apart. Using numerous musical examples, Anna Celenza traces the origins of the famous “Sinatra Sound” and reveals how, over the last half century, it has influenced a disparate array of musical styles and genres that make up the kaleidoscopic nature of today’s American soundtrack.